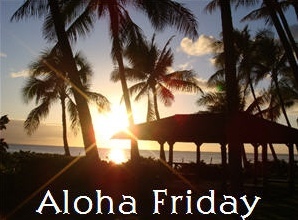 Life Music Laughter: Aloha Friday, What was your most boring job? I once worked for my son in law's family when they were just starting a business. They didn't have all the permits for every aspect of the business, but opened and were doing what they could with the permits that had been signed off on. I sat in the office everyday waiting for the county people to come, and took info from the the customers that did come in. Mostly I just sat and read, exercised and did Sudoku. I got paid great money, but it was, for the most part, very boring. I use to be a receptionist to a phone that never rang & law clerk with no work for this one law firm that needless to say folded up. Talk about a capital YAWN! Working the night shift got pretty boring . It was an assembly line person and I only lasted two days before I quit. Ha! I was a baggage handler at YMCA on summer. Collect and tag all bags and then hand them out when kids return. Well except when there was the chaos of kids returning for their bags.